Prove and improve your usability testing knowledge with the UK’s leading CPUX provider! Created in association with the International Usability and UX Qualification Board, this professional 3-day UX certification programme covers usability evaluation methods and theories – in particular, usability testing. It is independently assessed/certified by iSQI. Bunnyfoot were the pioneers and are now one of the leading providers of the Certified Practitioner of User Experience Course (CPUX) in the United Kingdom. Please note: To take the CPUX-User Testing course, you must have passed the CPUX-Foundation exam. What are CPUX and CPUX-UT? CPUX-UT (CPUX-Usability Testing) is an advanced module which focuses on the preparation, moderation, and analysis of usability tests and builds on the foundational CPUX-F course. 50% of the course will be spent on practical exercises like writing test tasks, moderation, and communicating usability test results. This course is for anyone holding the foundational CPUX-F certification. It is the perfect addition to your UX knowledge if you are involved or interested in usability testing, whether you are a product manager, software developer or designer. This certification is one of the four advanced qualifications of the CPUX curriculum, besides user requirements engineering (CPUX-UR), interaction specification, information architecture and prototyping (CPUS-IIP), and usability engineering (CPUX-UE). The course is based on content from the International Usability and User Experience Qualification Board (UXQB) and delivered in London. The assessment consists of a theoretical test and a practical assignment. For the theoretical test, you must answer a number of questions about usability evaluation within 90 minutes. The theoretical test takes place at the end of the third day of the training. For the practical part, you must plan, conduct and report a usability test with at least 3 usability test participants of a website within one week of your choice. In order to gain the CPUX-UT certification, you must score at least 70% in both tests. To obtain the CPUX-UT training license, you must score at least 80% in both tests. The International Usability and User Experience Qualification Board (UXQB) is a consortium of internationally recognised experts in usability and user experience. UXQB’s objective is to develop, maintain and manage the certification program (CPUX: Certified Professional for Usability and User Experience). CPUX is an international standard for qualification of people working professionally within UX. So far professional UX-organizations in six European countries have joined UXQB: Germany, Switzerland, Austria, England, Holland and Denmark. CPUX-F, Certified Professional for Usability and User Experience – Foundation Level, is the basic UX certification and foundation for more advanced certifications in usability testing (CPUX-UT), user requirements engineering (CPUX-UR); interaction specification, information architecture and prototyping (CPUX-IIP), and usability engineering (CPUX-UE). Read more about UX certification www.uxqb.org/en where you can also find curricula and examples of the tasks that you have to solve if you want to be certified. The course includes many additional, unpublished examples of test tasks. Cathy is a knowledgeable and experienced consultant. With extensive experience in a variety of user-centred design practices including user testing (moderated and remote), depth interviews, expert evaluations, mental models, personas and surveys. 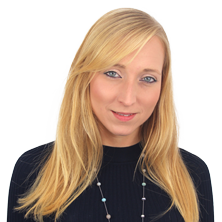 Cathy has worked closely with a range of public and private clients such as Vodafone, Johnson & Johnson and Towers Watson. 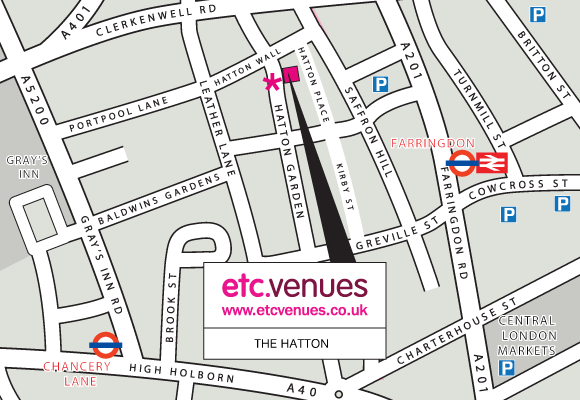 The Hatton by etc.venues is just a short walk from both Farringdon and Chancery Lane stations.